“…prepare yourself—holistically, mentally and spiritually—to take on a project that exists entirely in your head.” Garth Stein, author of The Art of Racing in the Rain and A Sudden Light. The above quote comes from praise Stein gave about a book on writing and I loved what he said there at the end. Writing is working on the project that exists entirely in your head. It makes me think that it would be FASCINATING to know the thoughts of the great authors out there. What projects are bubbling around in various stages in their minds? The book that Stein praises, I have not read, but I’ll post a link here (affiliate) because it sounds like an enticing read to me. Has anybody read it? Thoughts? Fearless Writing. From Amazon, this book “teaches you how to thrive as a writer… to find and enter a flow state… quiet both internal and external critics” and such. I keep going back to Stein’s comment/praise. If writing comes from the projects brewing in our heads, then that means, we writers, are constantly working on projects. I worked on projects in a very formal setting in my past life as a software tester and business analyst. One of my favorite roles was that of a Scrum Master, which is a term used in Agile software development for a role similar to Project Manager. 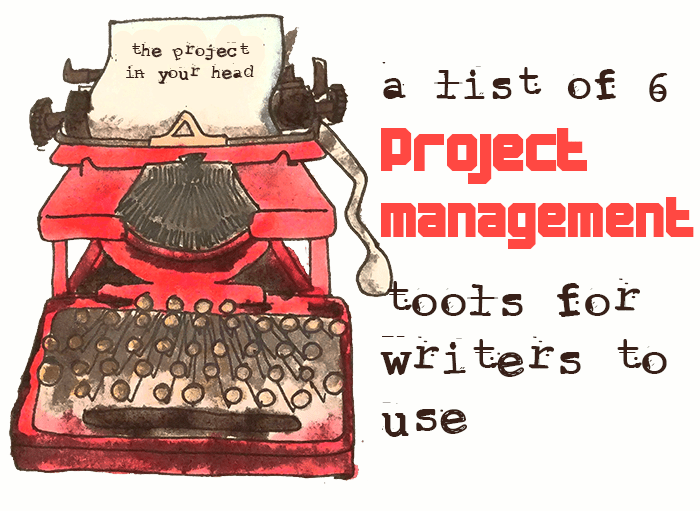 This brings me to my big question for you: if writing is like working on your project in your head, then you, as a writer, are your own project manager. How’s that going for you? How are you excelling as a project manager? I went to both Project Management and Scrum Master training, but to be honest, I never CONSCIOUSLY applied those skills learned to my career path as a writer. So, I’m doing that now. Or at least, I’m beginning by making note, here on my blog, of tools from the PM world I can use in my writer world. How would you make use of each of these tools? In subsequent blogs, I’ll take each of the above six tools and ramble on about how I’m going to implement it as an active tool in my writing life. Follow along!